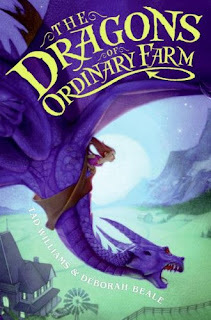 Tad Williams and his wife, Deborah Beale, will publish this year a children book, “The Dragons of Ordinary Farm”. The novel is due to be released in the US by Harper Collins on June and in the UK by Quercus Books on August. Tyler and Lucinda have to spend summer vacation with their ancient uncle Gideon, a farmer. They think they're in for six weeks of cows, sheep, horses, and pigs. But when they arrive in deserted Standard Valley, California, they discover that Ordinary Farm is, well, no ordinary farm. The bellowing in the barn comes not from a cow but from a dragon. The thundering herd in the valley? Unicorns. Uncle Gideon's sprawling farmhouse never looks the same twice. Plus, there's a flying monkey, a demon squirrel, and a barnload of unlikely farmhands with strange accents and even stranger powers. At first, the whole place seems like a crazy adventure. But when darker secrets begin to surface and Uncle Gideon and his fabulous creatures are threatened, Lucinda and Tyler have to pull together to take action. 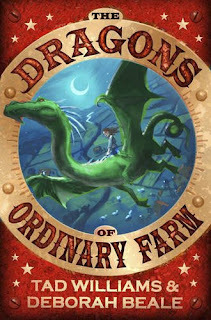 Will two ordinary kids be able to save the dragons, the farm - and themselves? Expert storytellers Tad Williams and Deborah Beale take readers on an extraordinary adventure in their first book about Ordinary Farm. I honestly say that sometimes I look for such books, it satisfies the children in me and makes me forget about all the worries and difficulties the adult life brings with it. But going through a library in search of a children title, despite the reason for it, which cover will catch your eye? Here, from left to right, you can see the cover art for the US edition, the UK edition and the German edition, published by Klett-Cotta on September. Certainly we will not find all three of them in the same place, but with today access to information it is easy to compare such covers. I will definitely go with the German edition cover art. I understand the US and UK covers, it is a children book and the covers are designed for their main target audience, but the German cover is far better. I think that the US cover is put in disadvantage in this case since the design is the same, but the execution differs so much. I also believe that the cover art for the German edition is more powerful and it appeals to the adult audience as well. From an adult perspective, I would go for the German cover, most definitely. But, if I was specifically looking for this book for a younger child, I would probably go for one of the others. It all depends on the age group. For a teen, again, the German cover would probably appeal more. I books like this sometimes as a filler. After reading a really long or complex magic/world book, it's nice to have an easier read. I like the German cover best but they would all be catching my eye. Then again dragons usually do. 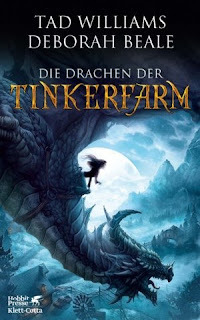 I love dragon books, and I really like the German cover. It shows danger and power, wonderful stuff! Thanks Mihai. He does a lot of cool and scary dragons. Thanks for the cover review! I found the original German artwork on deviantArt first, and found your post when I searched for the covers. I am appalled by the American cover. I know it's for kids, but come on, the dragon looks like he's choking. And although I'm sure the contract says differently, it seems so horrible to create another cover based on an artist's work -- especially when the result is so bad. I definitely go with the German cover, it is the best cover of the three. And I would like to see more covers illustrated by Kerem Beyit. Giveaway - "Arthas: Rise of the Lich King"